Kilted pirate Greenbeard's last voyage turns up some unexpected surprises... Who is behind the murder at the Eagle Cave? 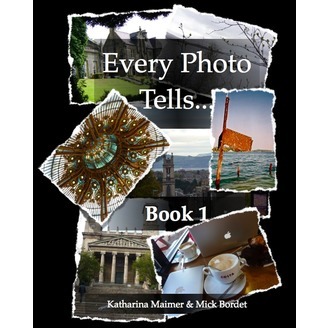 Love crops up when it is least expected... An ancient terror awakens to threaten mankind's existence... 'Every Photo Tells…' is a short story anthology that sets out to show that every picture can tell more than just one story, by presenting a range of tales inspired by seven photographs. 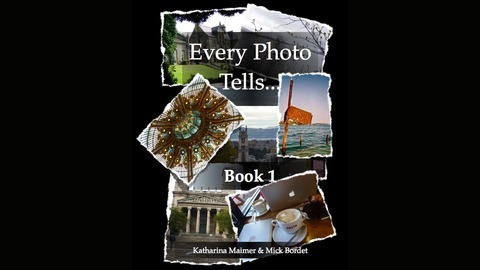 Read by hosts Mick Bordet and Katharina Maimer, and featuring the writing talents of several guest authors, the stories cover a wide range of themes and genres. Whether your taste is for horror or whodunnit, modern thriller or period swashbuckler, fantasy or sci-fi, there is sure to be something for you in this collection. The contributors are Odin1Eye, Richard Green, Emily of New Moon, Mark Kilfoil, Dan Rabarts, Orion Dauphin and Doc Coleman.